Are you on the market looking out for the best 4G WiFi LTE Router? If yes, then do check out our post before picking up your best choice. Currently, there are two different types of routers available on the market. One with an integrated Sim-slot, whereas the other can work with a USB based 4G dongle. 4G LTE routers were created to provide high-speed internet connection wherever and whenever you want. 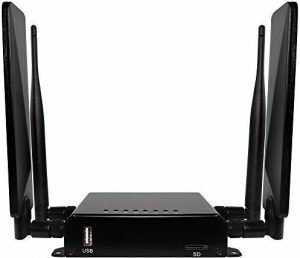 4G LTE routers can directly connect to the 4G or 3G network of your service provider, and then the router rebroadcasts it as a WiFi connection that can be used by other devices. But the market is full of 4G LTE routers; it’s hard to choose the best one that is suitable for your needs. 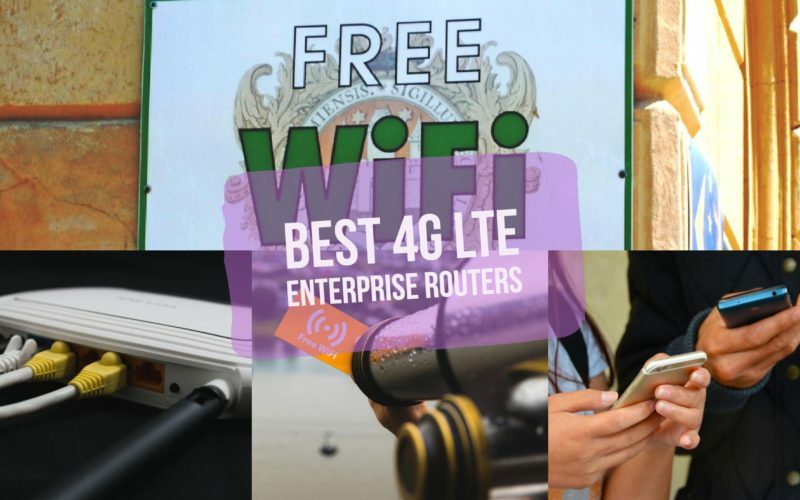 In today’s article, we have picked up five best 4G LTE enterprise routers. So without wasting any time let’s jump onto the list. Let’s start the list with the most affordable 4G LTE routers. 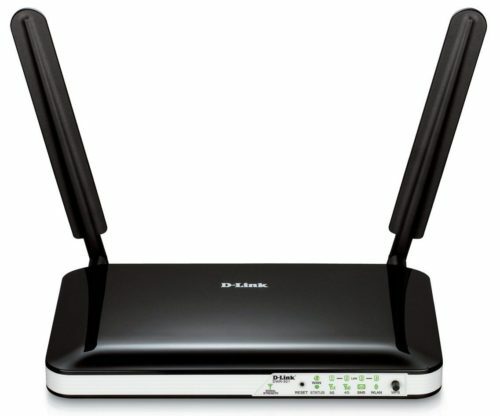 The first option that we have got here is D-Link’s DWR-921. It will cost you around $150 in retail. It offers a download speed of 150 Mbps and upload speed of up to 50 Mbps. You can share your 3G/4G connection with up to 32 devices. It uses a SIM/UICC card to connect to the Internet. Also, the four Ethernet ports to connect wired devices. It comes with industry standard WPA/WPA2 encryption to help protect wireless traffic. The two detachable 3G/4G antennas provide interruption-free connectivity even in crowded areas. 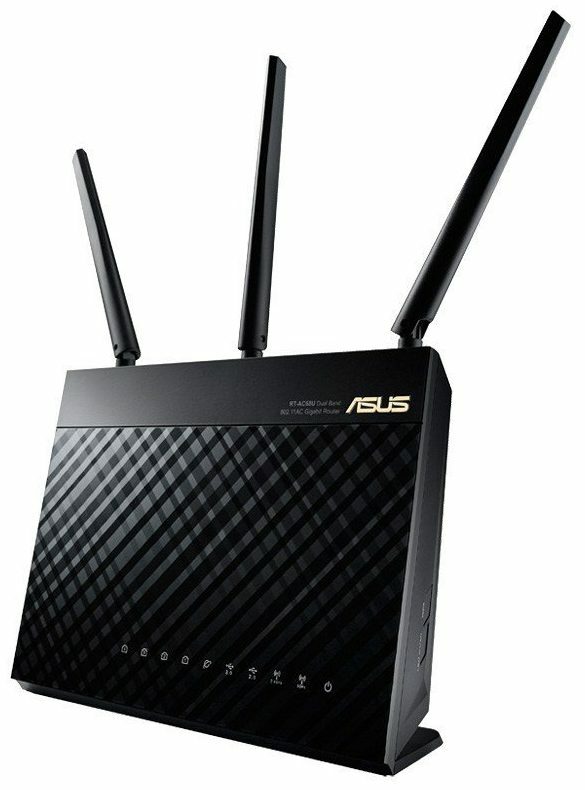 Asus dual-band AC-1900 WiFi router boosts speeds up to 1900 Mbps. It has four Gigabit Ethernet ports for fast and stable wired Ethernet connections. It packs a dual-core processor for fast and responsive performance. AC-1900 has USB 3.0 ports for ten times faster data transfers. The controls are quite comfortable to use with the intuitive Asus router app. The RT-AC68U also features dual USB ports primarily for 3G/4G modems/dongles, plus file, printers sharing. The Router incorporates advanced AiProtection from Trend Micro for threat protection and advanced security. It provides advanced parental controls, blocks malicious addresses and prevents the intruders from hacking into your data. The Asus AiRadae strengthens wireless connectivity using beamforming technology. It ensures extended wireless range for a high-speed data transfer and stability. The dual-band connectivity will let you switch between the 2.4 GHz and 5 GHz for different data loads. 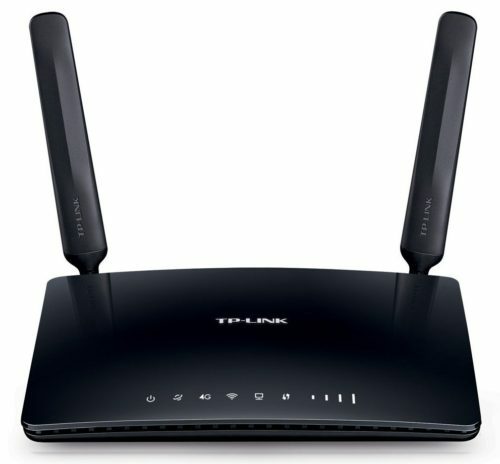 TP-LINK AC750 MR200 provides a download speed of up to 150 Mbps. It will let you share the 4G LTE network with multiple devices. The powerfully integrated antennas provide stable wireless connections and high-speed data transmission. The setup is easy, insert the 4G SIM card and turn it on to enjoy the fast wireless connection. 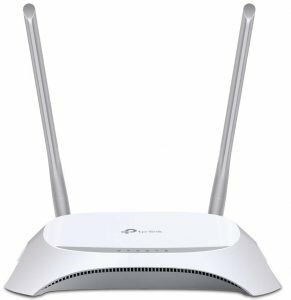 It creates simultaneous dual-band WiFi networks, with maximum speeds of up to 300 Mbps on the 2.4 GHz and 433 Mbps on the 5GHz band. It has four Ethernet LAN ports for wired connection and A SIM card slot to enjoy the 4G/3G internet and convert it to WiFi signals. Whether you are at home, office or working in a remote location, it will let you connect all your devices to the net. Archer MR200 packs three internal WiFi antennas and two detachable external 4G LTE antennas. Get lightning fast WiFi speeds with the Asus 4G-AC55U WiFi modem. 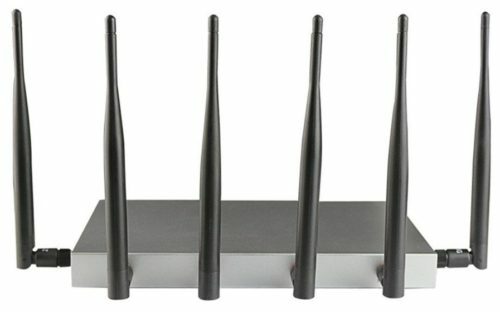 It gives four times wider WiFi signal than the conventional 4G LTE routers. You can enjoy more internet bandwidth by aggregating two WAN connections. Its parental controls will let you monitor and filter internet activities to restrict unwanted sites. You can also set up a guest network to share WiFi with the visitors. With the help of signal strength indicator, it will only let you find the best location for the router for optimal speed and stability of the connection. The detachable and upgradeable 4G LTE antennas let you adjust the signal strength as per the environment. It has 4 Ethernet LAN ports, one WAN port, one USB 2.0 port and one SIM slot for 4G SIM card. 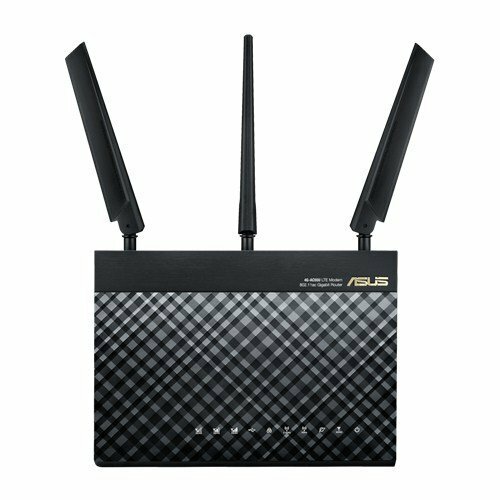 The easy to use Asus-Wrt user interface will let you easily configure all the advanced functions of the 4G-AC55U router. It comes with plug-in Cat 6 LTE modem and with dual SIM slot. You can switch between either of them manually or through software. There is also a carrier smart select feature that automatically switches across various carriers. It comes with dynamic port configuration and WAN load balancing. The VLANs can be configured at the port level. Being an Enterprise Router, it features a serial port for remote management and comes with 5 Gigabit Ethernet ports. Compact design and performance are ideal for home based / office-based use. It has 802.11 b/g/n Wi-Fi. All the Ethernet ports are RJ-45 and have 10/100/1000 RAD support. It comes with the dual dipole antenna, one with 700-960 Hz frequency and another with 1575-2700 Hz frequency. The gain sits between 1 to 4 dB. It supports multiple cell types including Cat 6 LTE, HSPA+, HSPA, EDGE, GPRS, and GSM as well. There are various LED indicators showing WAN, LAN and Wi-Fi activities, signal, LTE/Wi-Fi status and sim slot status. 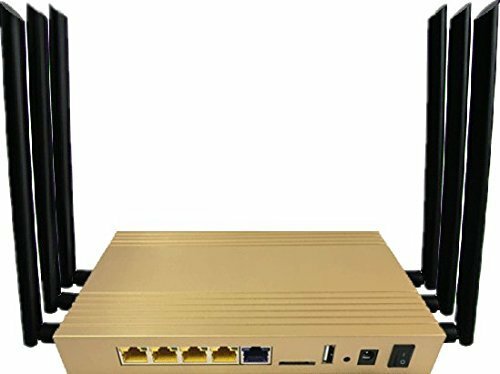 It is a 4G enterprise level router that is fully compatible with B5 850 MHz network and supports sim cards and EMEAs from USA, Korea, Thailand, India, Europe and the Middle East. It comes with single 10/100 MBPS WAN port and four 10/100 MBPS LAN ports. It comes with 4PCS external 5 dBi antenna at 1000mW power. It claims to be the LTE router with the longest coverage range in the market. I am not sure if it serves the longest coverage, but one thing that I can guarantee is that it is certainly one of the best. It supports SAMBA, FTP server and DLNA thanks to the USB 2.0 port it comes with. You can also share files wirelessly with this router. Wireless AP mode is also supported. 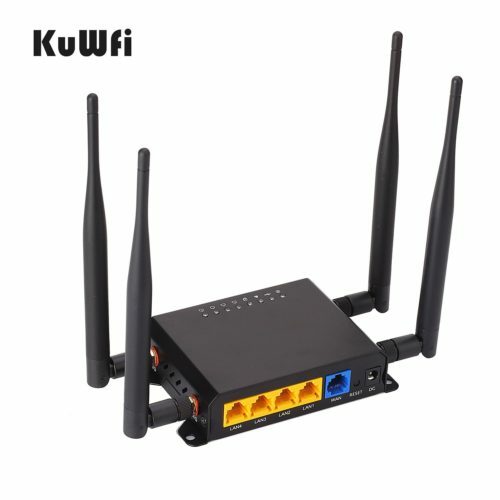 It is compatible with multi Wi-Fi router operation mode. It is powered by a MIPS networking processor, which is specially designed for enterprise level use including home, company, office, etc. and other networking use-cases. It delivers data rate up to 300 MB/s. It is easy to carry since all the antennas are detachable. Being an all-rounder, it focuses on a different set of requirements and is designed for multi-purpose functionality. It is entirely compatible with AT&T and T-mobile LTE networks. Moreover, they are also releasing Verizon network support soon in the future. 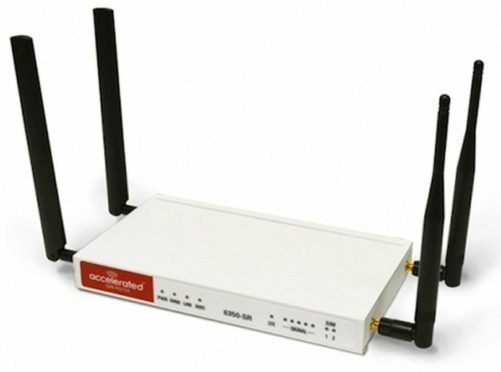 This one is a 4G/3G Wi-Fi router or says, an Internet gateway that is built for direct access, M2M connectivity, and failover connectivity. This model is quite reliable with the robust metal casing providing its interference protection from dust, vibrations, and other maladies. It comes with 1 WAN port and 4 LAN ports. It supports local area network Wi-Fi at 802.11ac and also wide area network with 3G/4G wireless access. It delivers access to LTE, WCDMA, CDMA, 1xRTT, GSM, GPRS, EDGE, PIAP, etc. Wireless network types. With superior cloud management, you can configure your Wi-Fi on the go. The visibility of the Wi-Fi network is made easy with the PC31 access point with the simple web interface. It also supports email and SMS alerts on predefined events. All this can be done without any dedicated technical staff or expensive controller. For the price, this is a great deal for enterprise-level use. It has one of the latest MTK wireless solutions. The clock frequency can go as high as 880 MHz. It comes with 5 gigabit MDI/MDIX Ethernet port. Moreover, it comes with a USB 3.0 port, a sim card slot, PCIe port, micro SD card reader, and a SATA 3.0 port. 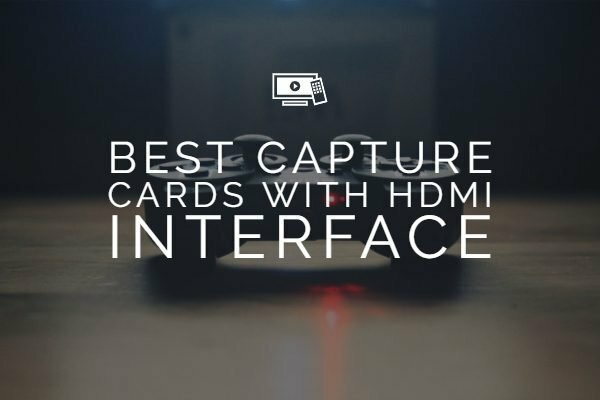 It has the most number of connectivity interface options, amongst others in the list. It fully supports IEEE 802.11 ac/n/g/b/ac wireless standards. The wireless data rate can go as high as 1200 MB/s. It comes with four 5 dBi antennas giving it better performance and larger coverage range. For managing the operations with ease, it comes with preinstalled 512 MB DDR3 RAM with 16 MB SPI Flash for temporary memory. OpenWRT technology powers it and is compatible with 4G networks band for USA, Canada and most of South America. It supports 4G Sim card and OpenWRT with the external antenna. It comes with MT7621 network chipset making the 88MHz frequency possible to achieve. 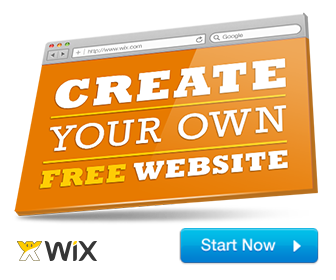 It is well appreciated for the extensive amount of interfaces it offers. Managing your Wi-Fi is always comfortable with the simple interface. It is suitable not only for home-based but also for heavy usage. Like most of the wireless routers, all you have to do is to insert a SIM card and enjoy all the networking based services you want to enjoy, just like you will do on any typical router. This one comes with 2 LAN ports, single WAN power, and dual high gain omnidirectional antennas. 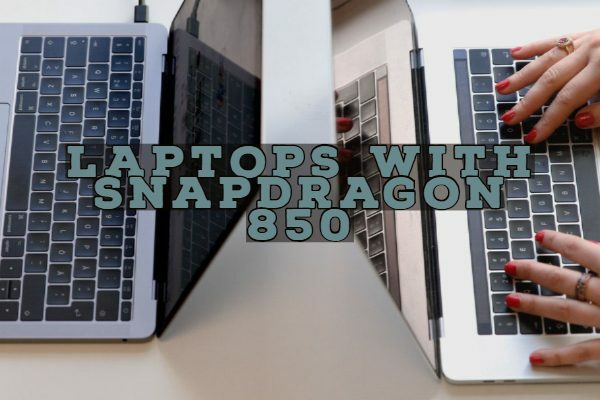 Other devices can also take advantage of connectivity simultaneously thanks to the LAN ports. It is an ideal choice for both home-based and office use as well. This TUOSHI 4G LTE router is capable of maintaining high speeds while serving 32 users at a time. On 4G LTE connection, it provides up to 150 Mbps download, and up to 50 Mbps upload speed. It is also backward compatible with 4G. This eliminates the need for a network cable or ADSL VDSL Fiber cable broadband, and all you need to have is a SIM card. 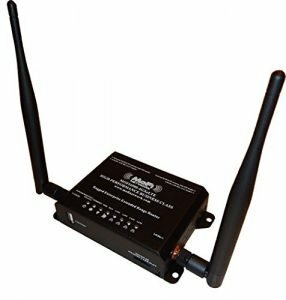 It produces up to 2.4 GHz wireless network that covers up almost 300 square meter area, which is pretty enough for any application. In the package, you will get the main unit, power adapter, and additional LAN cable. It supports a limited number of wireless carriers currently, the list of which is available on marketplaces where it is being sold. This one comes with a metal body and enterprise level routing features. It comes with an embedded SIM (AT&T and T-mobile variations). Moreover, it also supported the band 12. This is a recommended wireless router solution from T-mobile itself. It features many key networking features such as Failover, IP pass thought, captive port, etc. 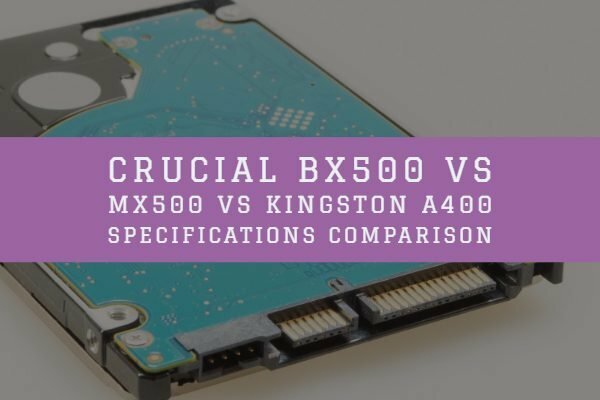 Thanks to the built-in wireless repeater mode, it generated a much wider range than average routers in the same performance and hardware bracket. The 4GLTE/LTE advanced technologies allow it to generate the longest wireless network range. This MOFI wireless 4G/LTE router supports carrier aggregation technology as well. IP Passthrough, IP SEC VPN, MOFI to MOFI VPN, failover support are some of the features that are pretty crucial in business networks. As mentioned before, thanks to the carrier aggregation support, the router takes advantage of multiple LTE bands simultaneously while using a single SIM card for connectivity, for faster speeds. The unit ships with four antennas in total, two of which will be used for cellular connectivity and rest will be used by Wi-Fi network connectivity. MOFI is pretty good with the customer support and service, making it easy to get the installation done and receive any technical help when required. This wireless router requires only a single SIM card to operate. For a product in this price bracket, this router offers impressive speeds and response time. 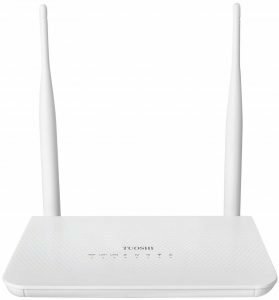 The data rates on this router can get as high as 150 Mbps, which may vary based on what type of device you are using for accessing the Wi-Fi network. This router easily outperformance all the older gen devices by offering quality and stable Wi-Fi range at your office and home. It features quadruple high gain 5 dBi external antennas that are powerful enough to provide strong network connection throughout the household and office. The setup process is impressively simple as all you have to do to insert the sim card, and you are good to go. However, if you need to customize the options, you will have to use OpenWRT which is going to take some time, but still, it’s not that complex. It also offers file sharing over the network and has micro SD and USB slots for the purpose. This makes it quite ideal for office use as you will require to share files with your time more often compared to you do at home. TP-Link is pretty reliable and widely trusted brand for its networking products. This router is compatible with LTE, HSPA+, HSUPA, HSDPA, UMTS, EVDO USB modems. Like all the routers in this list, it allows sharing 3G/4G connections with your colleagues or family members via wired or wireless connectivity. Think of this device as a mobile hotspot, through which multiple devices can take advantage of the connectivity. TP-Link makes sure that the product is compatible with all ISPs in the region in which it is being sold. With complying IEEE 802.11 standard, the data rates can go as high as 300 Mbps while keeping the data lose at its minimal. Along with sharing network connectivity, the router can also be used as a bridge to share files and videos at real time. They are making it perfect for both home and office use. On latest gen devices the range supports more extended devices. However, users with legacy products will have to get closer to the router for it to work correctly. We hope you like our article on the best 4G WiFi LTE Router available on the market. If you have any questions or suggestions, do drop us a comment below in the comment section.